Every business leader wants their teams to be innovative. But too often, they see innovation as a solution to a specific problem rather than a way of doing things, and that is where their efforts fail. Consider the drive for transformation. More than 80 percent of companies say they have undertaken a transformation initiative in the past five years, yet less than one-third of these efforts result in sustainable gains, according to McKinsey data. The reason could lie in the way they think about innovation and its role in transformation. When companies talk about transformation, it generally means they see the need for change in the way they operate their business, serve their customers, or adapt to shifting market needs. Maybe they are facing new competitors, or disruptions in the market that demand a more agile business strategy. These are all big complex, human-centered challenges that suggest the need for significant organizational change. However, business leaders tend to approach them as one-off problems that innovation can solve — if they can just get ahead of the competition, or develop a cool new product, all of their troubles will go away. That’s where transformations start to fall apart. This narrowly-focused approach causes many companies to hire consultants who promise to help them address the immediate problem or gain a specific insight. This can be a great solution for the short term. The consultant may help them implement a new process, or gain some efficiencies that lead to immediate gains. However, as soon as that statement of work closes, employees tend to revert back to the old way of doing things — because the solution didn’t come with any lasting change efforts, and so the problems fester. Companies may go through this process several times, but with each reversion employees, customers and stakeholders will get more and more frustrated and less invested in the newest initiative, causing the company to fall further behind without achieving any real sustainable transformation. It’s an endless cycle, but it can be avoided when business leaders change their perspective about what transformation involves, and how it works. To be transformational, innovation has to be a strategic capability embedded in the culture — not a consultant-driven solution to a fleeting problem. This is where design thinking comes in. 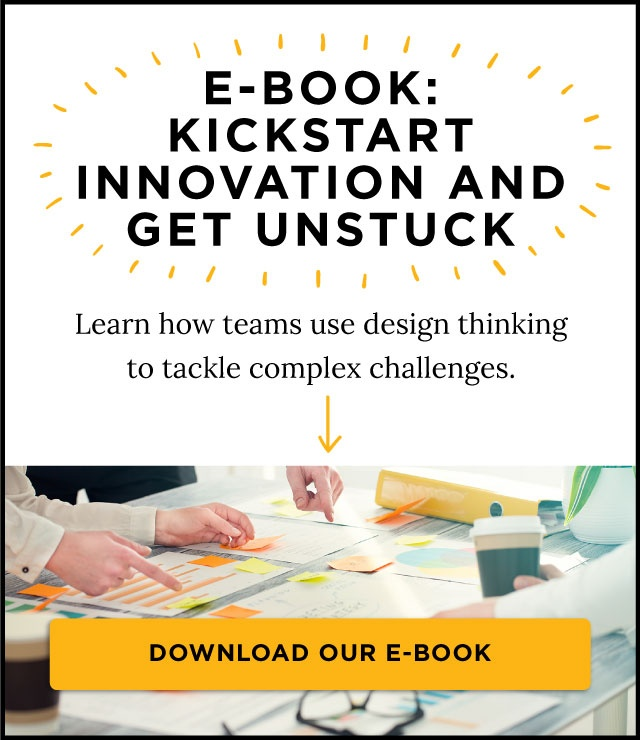 Design thinking was created to address human-centered complex challenges that have no clear solutions. 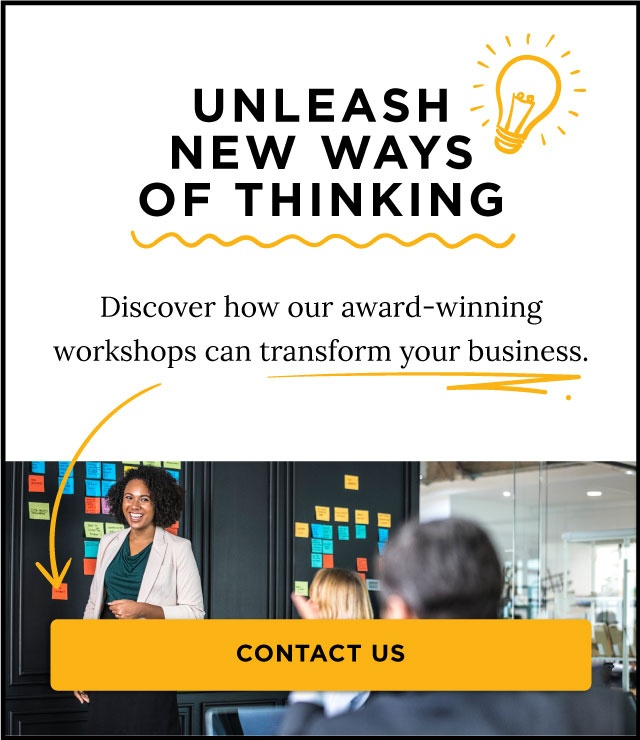 When businesses adopt design thinking methods as part of their transformation efforts, they are able to engage and motivate employees across the organization with a customer-focused mentality that allows them to accelerate the way ideas come to life and are executed. By building that capability, transformation begins to happen organically. This customer-focused approach enables the company to elevate its value to customers by solving their most pressing problems, which allows the company to stay ahead of the competition, and to deliver on key metrics that everybody cares about. This is what successful and sustainable transformation effort look like. Alignment: Make sure transformation is needed. Is the company facing significant business disruption? Are customer expectations changing? Is the market evolving without you? Are you missing opportunities to grow the business due to stagnant processes or a siloed culture? Identifying drives that demand change can help rally leadership support, and provide a platform to measure success. Capability. Transformation efforts are long, difficult, and sometimes painful. 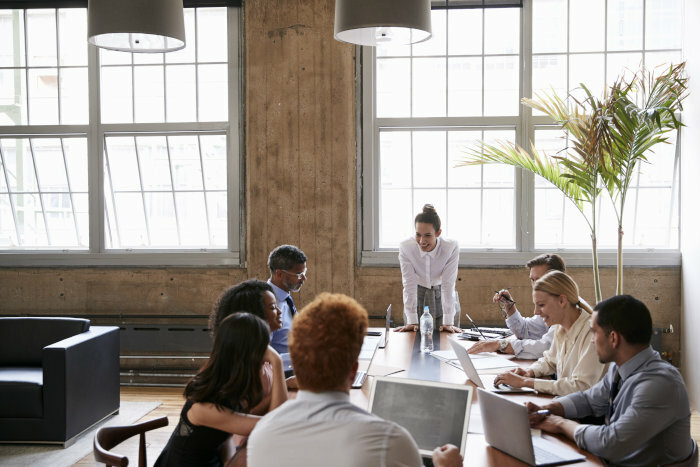 To stay the course you will need committed leaders who set clear expectations and provide ample support to managers across the organization to make change happen. That requires charismatic leadership and an organizational capability to drive behavioral change that delivers value to customers — even when change is painful. If your leadership team has these three elements in place, and they are committed to fostering real change across the organization, you can enable a successful transformation, no matter how challenging it seems.